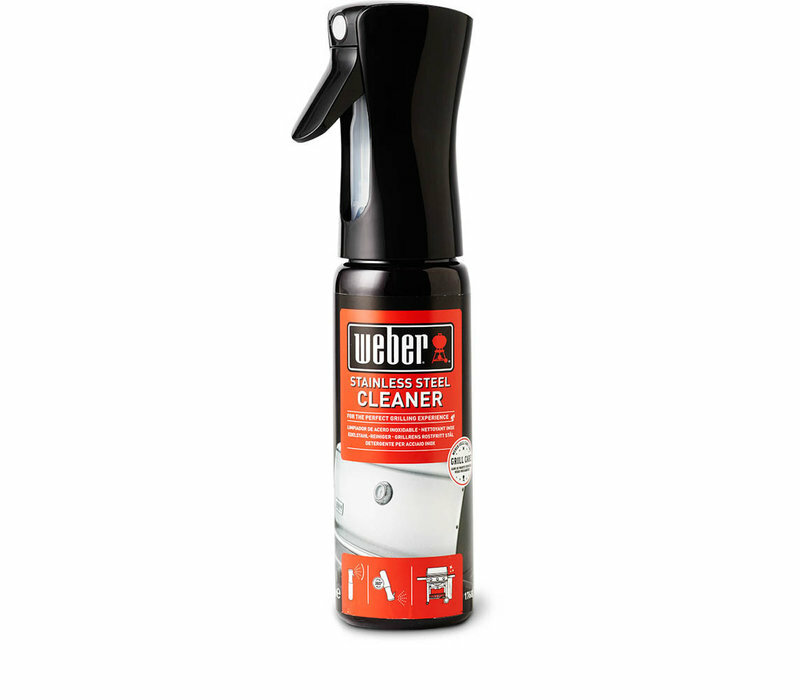 Make your BBQ sparkle with the Weber stainless steel cleaner. This spray will not only clean but protect the exterior of your BBQ. Easy to use bottle that sprays from any angle. Eco-friendly. Plastic bottle.